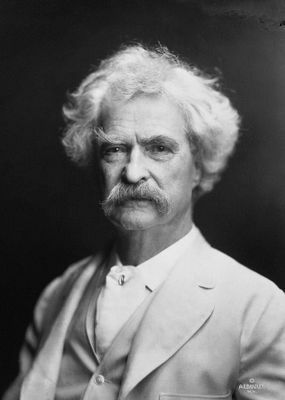 Born Samuel L Clemens, Mark Twain was one of American's most famous 18th Century novelist. In order to understand Twain's writing, it is important to understand the world Twain grew up in. Twain grew up during some of America's most significant historical changes; slavery, industrialisation, war. Hence, Twain's "Dawn in the Forest," otherwise known as "Tom Sawyer," is in essence an expression of Twain's talents as a writer and an expression of American culture. Twain's writings are significant in that they are about those changing times and captured American history. Mark Twain was initially apprenticed as a printer's assistant and soon moved into the newspaper industry, which contributed to his knowledge of the world, writing and publishing. Twain went on to marriage and children and soon afterwards began to write his own novels. "Dawn in the Forest" chapter XIV in Twain's novel "Tom Sawyer," is one of Twain's masterpieces of writing, full of imagination and detail. Twain knew how to capture a moment and make his readers feel like they were part of the stories he wrote. Mark Twain had a way of capturing sight and sound in his writing. In the forest, 'a white layer of ashes covered the fire, and a thin blue breath of smoke rose straight into the air,' Twain allows us to see and experience the fire, imagine the white ash and smoke rising. Twain's readers hear a distant bird, 'Far away in the woods a bird called,' a delicious rendition of birds in the forest. Mark Twain also knew how to capture sense of smell and touch in his writing. Twain's descriptive sense of smell and touch is captured when 'a little green worm came crawling over a dewy leaf, lifting two-thirds of his body into the air from time to time and 'sniffing around' and then 'came decisively down upon tom's leg and began a journey over him'. As Tom awakes, he experiences dawn in the forest with all its creatures, sights, sounds and smells. A fox scurrying along, hickory leaves and then a loud boom in the distance, Tom and Huck listen and recognise the sound. A ferry on the river is searching, searching for them. Kaitlin you may also enjoy reading Mark Twain's "The Innocents Abroad," a truly hilarious and witty account of a ship voyage to Europe and the holy lands. And for more examples of Twain's sharp and irreverent writing, look up his quotations and sayings on the internet. Connecticut Yankee in King Arthur's court is a fun read.